Analysis and observations from all 50 states from Dentons’ public policy experts and members of the Dentons 50 network. Dentons’ public policy team probes the polls to give you a first look at the newest (anticipated) members of Congress in this special report. 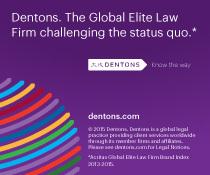 Proudly powered by WordPress Theme: Dentons Categorized States.